What Really Constitutes as Heavy Drinking? 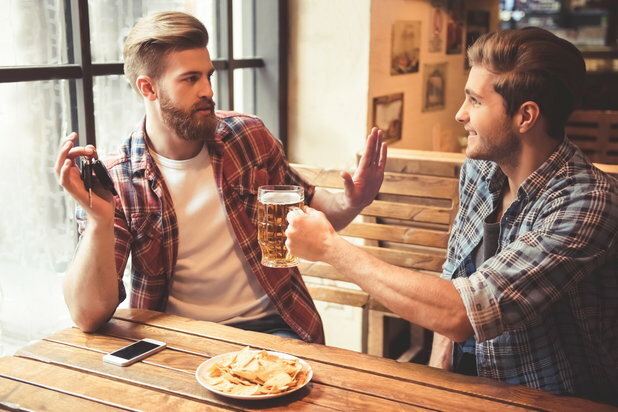 Both the National Institute on Alcohol Abuse and Alcoholism (NIAAA) and Center for Disease Control and Prevention (CDC) define heavy drinking as 15 drinks per week for men and eight drinks for women. The gender difference is due to the normally smaller size of women and the fact that women metabolize alcohol less in the stomach, so the alcohol goes directly into the bloodstream. Binge drinking is also counted by health authorities as heavy drinking when the drinking pattern brings the blood alcohol levels to .08 g/dl (grams per deciliter - measure of blood concentration). This typically occurs after four drinks for women and five for men in a period of two hours. Anyone who drinks regularly should pay attention to the statistics and definitions by health experts of what really constitutes a heavy drinker. The Substance Abuse and Mental Health Services Administration (SAMHSA) defines binge drinking as five or more alcoholic drinks for men or four for women on the same occasion (i.e. at the same time or within a couple of hours of each other) on at least one day in the past month. SAMHSA defines heavy alcohol use as binge drinking on five or more days in the past month. The factors composing the "heavy drinker" criteria are based on scientific evidence regarding the harmful consequences of drinking too much. Health experts do reveal that the numbers involved in categorizing light, moderate and heavy drinking are not carved in stone but are based on epidemiological studies that show long-term negative effects of heavy drinking. A 2012 National Survey on Drug Use and Health found that 6.5 percent of the population or about 17 million people over 12 years of age reported heavy drinking. The survey designers feel they are under-counting the real numbers. Heavy drinking is behind much more mayhem than injuries or death due to vehicle crashes. It can lead to chronic diseases including liver, throat, esophagus and larynx problems, as well as high blood pressure, psychological problems and pancreatitis. Heavy drinkers are also at increased risk for becoming victims of violence. There are also direct negative consequences of binge drinking. Alcohol poisoning as an example, while rare, occurs too often and can be fatal. We mostly hear about alcohol poisoning affecting young, male college students, but the fact is that 76 percent of alcohol poisoning fatalities are among 35 to 64 year-old males. Interestingly, statistics reveal that 70 percent of those fatalities are not comprised of persons identified as alcoholics. Almost 33 percent of American adults can be categorized as heavy drinkers, but only 10 percent of them are alcohol dependent. What's going on here? Alcohol use disorder, the newly-coined scientific term for alcoholism, is a medical condition where individuals must meet the following criteria. The statistic that only 10 percent of heavy drinkers can be classified as alcoholic may sound reassuring, but this is not to say that the 90 percent who cannot be classified as such are not problem drinkers. The co-authors of Almost Alcoholics, Joseph Nowinski, PhD and Robert Doyle MD, describe the negative effects on up to one-third of drinkers who do not have alcohol use disorder. 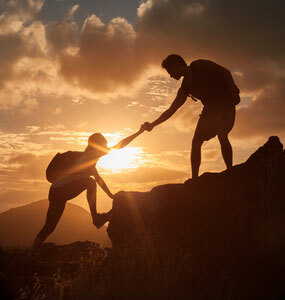 "There are many people in an almost alcoholic zone who are having alcohol-related problems with their health, their relationships and social lives, and even their work but who don't connect the dots between these problems and their drinking," says Nowinski in a Harvard Health interview. "These people dismiss the possibility of being an alcoholic—and they truly don't qualify under current definitions—but may need to step back to look at how drinking is affecting their lives." For anyone who drinks, alcoholic or not, this is sound advice to take home.